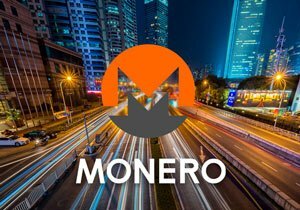 Monero prices today jumped 23.68%, as a CoinDesk report revealed musicians like Mariah Carey and Marilyn Manson are accepting the privacy-oriented cryptocurrency as payment for their music. The cryptocurrency also received a positive endorsement from tech entrepreneur John McAfee, who said Monero could be a competitor for Bitcoin, according to CoinDesk. In Bitcoin news, the coin topped $12,000 for the first time ever over the last 24 hours. The cryptocurrency has now rallied more than 1,100% since the start of the year as buyers around the globe tap into the frenzy. Bitcoin and the broader cryptocurrency market made gains despite a warning from prominent investor and former hedge fund manager Mike Novogratz. The Bitcoin billionaire raised concerns during an interview with CNBC that the ongoing surge in Bitcoin prices could attract government regulators. "We're in a speculative frenzy. Period. Stop. How long can it go? Who knows," he said. Surprisingly, JPMorgan Chase & Co. (NYSE: JPM) helped fuel some positive Bitcoin buzz after stating that Bitcoin futures at CME Group could "elevate cryptocurrencies to an emerging asset class." "The value of this new asset class is a function of the breadth of its acceptance as a store of wealth and as a means of payment," JPMorgan's analyst Nikolaos Panigirtzoglou said in a research note. Naturally, this statement is quite the opposite of what JPMorgan CEO Jamie Dimon has said about Bitcoin in the past. Dimon has called Bitcoin a fraud and compared it to Tulip Mania in the Netherlands, back in the 17th century. On Tuesday, the market capitalization of the global cryptocurrency sector hit $356.48 billion. Bitcoin now comprises 55.8% of the global cryptocurrency market. Top performers from the largest 50 cryptocurrencies by market capitalization included Monacoin (up 51.76%), Veritasseum (up 39.15%), Einsteinium (up 27.25%), Stellar Lumens (up 20.69%), Ark (up 17.05%), and QASH (up 15.54%). The worst performers from the top 50 largest cryptocurrencies by market capitalization included Cardano (down -3.70%), Qtum (down -3.60%), Status (down -3.57%), Nxt (down -3.22%), NEO (down -3.07%), Hshare (down -2.72%), Power Ledger (down -2.42%), and Augur (down -1.74%). The Bitcoin market capitalization topped $200 billion for the first time, as buying continued ahead of CME Group's introduction of Bitcoin futures on Dec. 10. Must Read: You Can Buy Bitcoin with a Credit Card – but Should You? Bitcoin continued to generate buzz this afternoon, after the Tokyo Financial Exchange announced plans to introduce Bitcoin futures as well to catch up on growing institutional interest. Japanese regulators disclosed potential changes to the country's financial laws on Dec. 1 and could soon create a path for Bitcoin futures in the months ahead. The price hit an all-time high north of $12,000 Tuesday, driving the market capitalization to a level that rivals the gross domestic product of New Zealand. The price of IOTA gained another 25% as investors continued to pour into the cryptocurrency. With a market capitalization of more than $9.8 billion, IOTA now sits as the fourth-largest crypto coin in the world. The German non-profit behind the coin recently announced plans to build a global marketplace that allows companies to sell data.